1) Open Meetings Requirements as set forth in Section 396(k)(4) of the Communications Act. These meeting dates will be publicized on both the WGVU website and the Grand Valley State University website. WGVU-AM, FM, TV; WGVS-AM, FM; and WGVK-TV are licensed to the Board of Trustees of Grand Valley State University. The Trustees comprise the governing body for WGVU Public Media. 3) Financial Reporting Requirements as set forth in Section 396(k)(5) of the Communications Act. 4) Advisory Board Requirement as set forth in Section 396 (k)(8) of the Communications Act. WGVU-AM, FM, TV; WGVS-AM, FM; and WGVK-TV are owned and operated by a state university and therefore are not required to have a Community Advisory Board. In compliance with the Corporation for Public Broadcasting requirement for Diversity and Inclusion, the following document articulates WGVU’s policy, goals and actions. • Inclusiveness – It is essential that we embody, respect, and value diversity that reflects our community and to create opportunities that embrace these differences, including ethnicity, race, religion, national origin, gender, sexual orientation, philosophical viewpoint, and socio-economic background. • Perspective – We articulate and analyze different perspectives so our viewers, listeners and users can make up their own minds. We always encourage a fair, open and civil dialogue. • Geography – It is important to note that while we directly serve the west and southwest Michigan area, with today’s expanding digital media, our community can be served anywhere in the world. • Age – Our viewers, listeners and users range in age from young children to seniors. We recognize and build upon this age diversity by finding new and exciting ways to preserve our existing audience while attracting new people to our content. • To recruit and retain a diverse workforce that is representative of our community. • To provide equal opportunity in employment. • To educate our management and staff annually in best practices for maintaining an inclusive and diverse environment for all persons through workshops and seminars at Grand Valley State University. • To assist in developing a more diverse future workforce with professional skills in the broadcasting/media industry by recruiting candidates for WGVU internship opportunities by participating in minority or other diversity based job fairs. 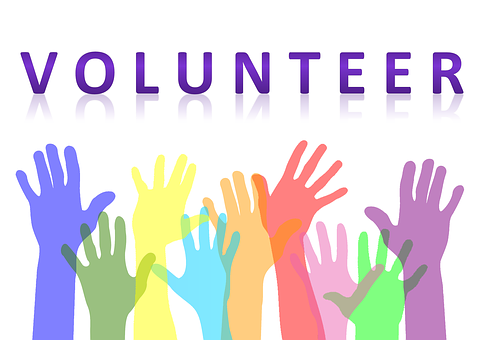 • To work with our community through the WGVU Engage Inclusion Committee to further develop partnerships and community activities of importance. Supervisors and staff of WGVU are required to attend a minimum of one (1) Inclusion and Diversity seminar or activity annually. 6) EEO Requirements as set forth in Section 396 9k)(11) of the communications Act. The purpose of this EEO Public File Report ("Report") is to comply with Section 73.2080(c)(6) of the FCC's 2002 EEO Rule. This Report has been prepared on behalf of the Station Employment Unit that is comprised of the following stations: WGVU-TV, WGVK-TV, WGVU-DT, WGVK-DT, WGVU-AM, WGVU-FM, WGVS-AM, WGVS-FM and is required to be placed in the public inspection files of these stations, and posted on their websites, if they have websites. For purposes of this Report, a vacancy was deemed "filled" not when the offer was extended but when the hiree accepted the job offer. A person was deemed "interviewed" whether he or she was interviewed in person and/or over the telephone.